As Americans gear up for Thanksgiving later in November, settling down for a traditional turkey dinner (why can’t they wait another month like the rest of us for Christmas Day? ), ClassicLine says thanks to great classics from across the pond. However, before we do that, here’s a quick history lesson. The origins of US Thanksgiving started in 1789 as a harvest festival celebration. See, told you it would be quick! The series of Chrysler Minivans are renowned for their drivability and flexible seating. Originally launched in 1983, they have appeared in six distinct generations with over 12 million units produced. Other cars selling in vast numbers include the Toyota Corolla, the Ford-F series and the Volkswagen Golf (apparently the top three best-selling cars of all time). 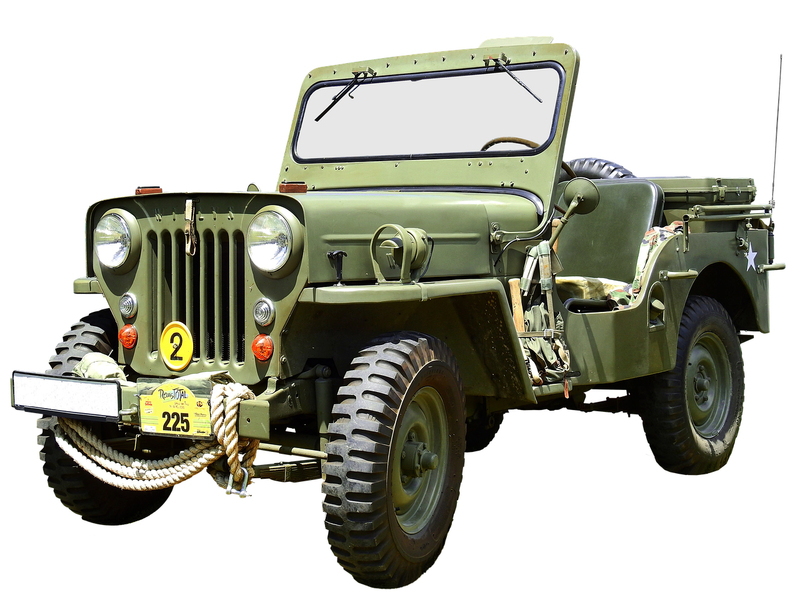 Commonly known as a Jeep, this off-road vehicle is credited as being one of the six most vital vehicles to win World War II. Subsequent models include the Jeep Station Wagon, Jeep Wrangler, the Cherokee and Grand Cherokee. Famous celebs who have got behind the wheel of a Jeep include Steve McQueen, David Beckham, Ralph Lauren and Stephen Baldwin, to name but a few. Welcome to the Jeep seats! 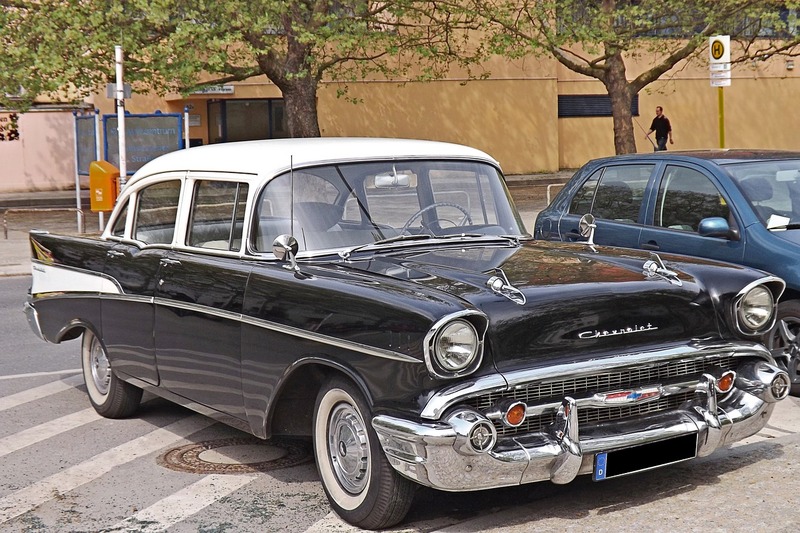 1955 to 1957 was a golden era of motoring, especially for Chevrolet as these three wonderful years saw some remarkable models, in particular the Bel Air, Nomad, 150 and 210. Enthusiasm and passion for these American classics is stronger than ever, whether they are still in original form or customised, spawning magazines, forums and clubs around the world, which hold them in great esteem. Yet these ‘Tri-Five’ were the future of motoring when they were launched, signifying a clear departure from the past. True classics in every sense and that’s not even mentioning the tailfins and chrome. 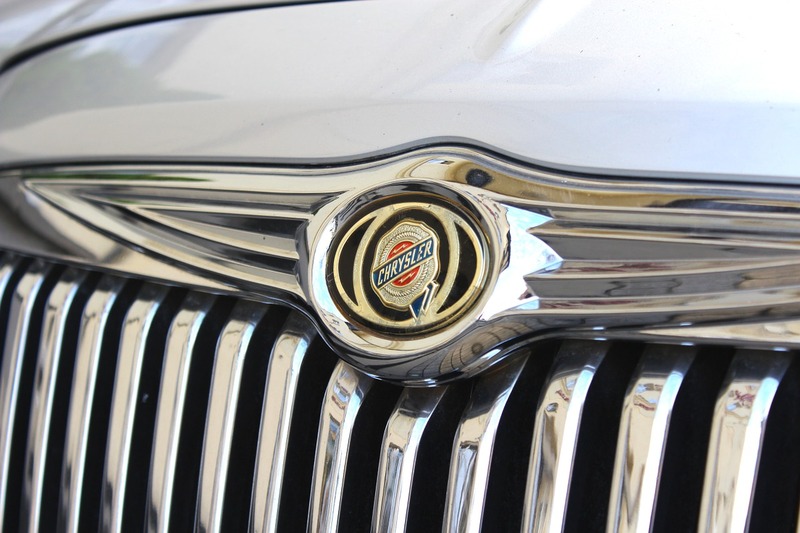 Do you own an American classic? ClassicLine would love to hear from you.